HAVANA: A rare and powerful tornado has devastated sections of Havana, killing four people and injuring 195, as it overturned cars, uprooted trees and destroyed dozens of homes. A shaken resident, recalling a night of terror, said she clutched her daughter and crouched down in her kitchen as the tornado came roaring in Sunday night. “It was as if rocks were falling — it was hail — and I felt things beginning to fall. It lifted my entire roof and took everything away,” said a sobbing Canaima Hernandez, 36. In the city’s Luyano neighborhood, storm debris — including parts of a balcony ripped off an old building — blocked the streets. As emergency sirens blared across the city, firefighters and ambulances rushed about on rescue missions, their flashing lights illuminating blacked out areas. Diaz-Canel said that several emergency teams were working hard to restore power to those areas. At the Hijas de Galicia maternity hospital, staff were forced to evacuate the building due to storm damage. 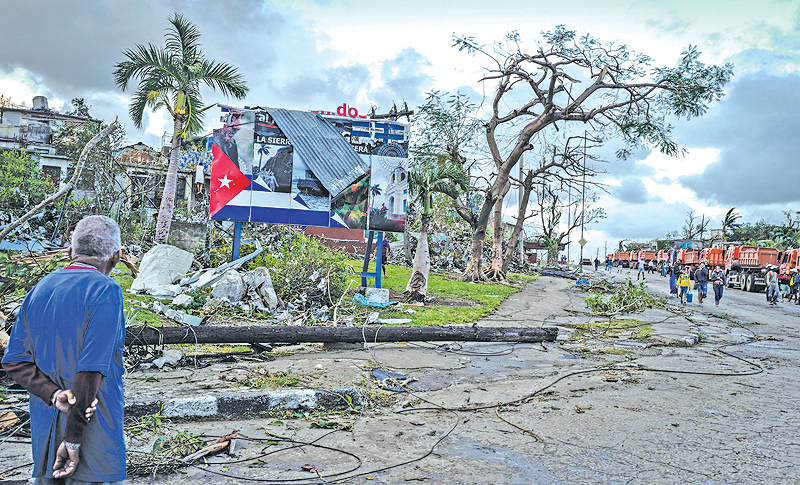 The tornado, spawned by a powerful storm that originated in the Gulf of Mexico, hit western Cuba with winds of up to 100 kilometers per hour. “Islanders are used to these warnings, but they did not suspect the magnitude of what was approaching,” said Granma, the Communist Party daily. People described the tornado as having “the sound of a jet engine,” and reported feeling changes in the environmental pressure when it arrived, Armando Caymares with the Institute of Meteorology said.